literature referenced in this summary is from the mid-1990s through 2007 to capture what has been learned about poverty within this new context. Studies prior to this time period are referenced when they are the most recent available and/or are landmark studies that are still applicable to the issue being addressed. 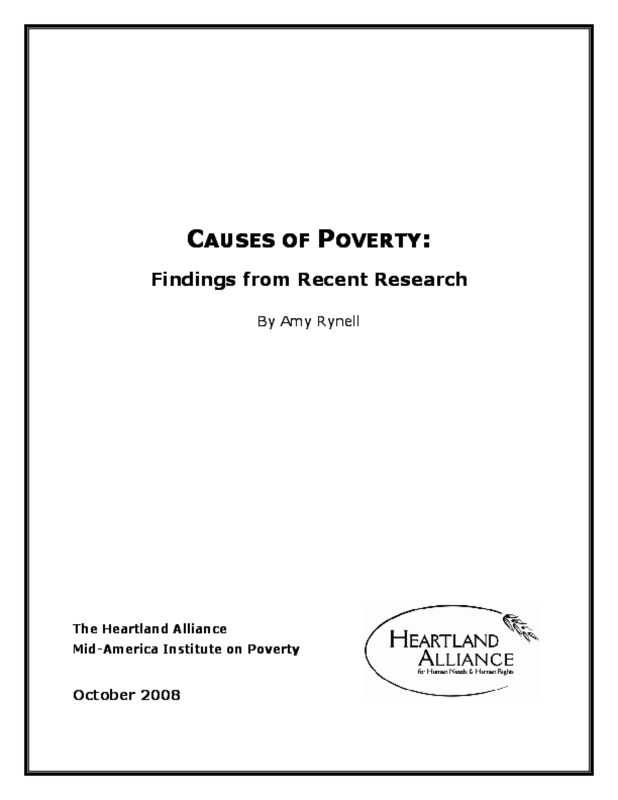 The majority of the literature referenced here on each specific poverty-related issue is primary research that used rigorous econometric or statistical methods and robust nationally representative data sets. Included are studies and findings that surface throughout high quality literature reviews on the specified issues. Most have been published in journals or at poverty institutes affiliated with universities. The assessment of the methods of analysis used in the referenced research was rooted in peer reviews, frequency of citations, and perceived quality; for the purposes of this summary the methods were not re-analyzed or tested. Though there is a large body of international research on issues related to poverty, the research addressed here is almost exclusively focused on findings within the context of the United States. criminal record, being an immigrant, having experienced domestic violence, and neighborhood conditions. Certain events are more influential for various subgroups within the at-risk-of poverty population than they are for others. Copyright 2008 Social IMPACT Research Center. All rights reserved.